Home › Uncategorized › How Should Employers Respond to #MeToo? The #MeToo movement started as a wave of press coverage exposing long-suppressed stories of sexual harassment and exploitation in Hollywood. That movement, however, has now gone far beyond Harvey Weinstein. High-profile cases involving judges, news anchors, politicians, and CEOs have become commonplace in recent months. Many companies are now receiving complaints of misconduct from years in the past, which are a challenge to investigate. Unlike a court of law, which typically does not hear cases beyond the statute of limitations (which can be as short as 300 days in Texas), the negative press associated with these cases has no end date. Moreover, ignoring allegations of serious misconduct has consequences, both in the press and in the eyes of stakeholders, customers, and employees. The concern is that if an employee did this once, he or she has probably done it to someone else, and is maybe doing it currently to others who are not brave enough to face the backlash of making a complaint. First, any allegation of sexual harassment (or any unlawful conduct for that matter) should result in an investigation, even if the conduct is old. If the accused is a serial offender, there could be other victims working for the company who have ripe claims sitting out there waiting to sue. Moreover, barring intervention, the accused may not realize there is or has ever been a problem, and may continue to do the same things that gave rise to the first complaint. Simply, the company should investigate to discover whether the old complaint is an isolated problem that is unlikely to reoccur, or involves something inherent in the employee’s behavior that poses a risk of recurrence. Once the investigation is done, the company has to decide upon an appropriate response. Although the media would have you believe that every offender must be terminated, no matter how small or old the offense, those risks are largely overblown. I am a believer that employers should distinguish between honest mistakes and intentional misconduct. 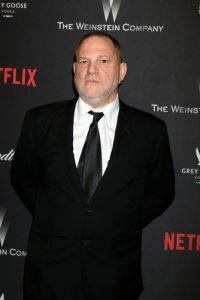 The Harvey Weinsteins of the world cannot be tolerated, and if that type of behavior is discovered, no matter how old, termination is appropriate. That said, employers should not panic nor overreact in responding to claims of harassment. Not every complaint over an inappropriate joke or consensual relationship gone bad requires termination. The following tips are helpful in deciding upon an appropriate response. How old is the complaint? What is the employee’s explanation for waiting so long to bring the complaint? Can the company corroborate any of the allegations? Have there been any similar complaints from anyone else? What was the accused’s response to the allegation? Is he or she believable? Is the allegation consistent with the accused’s reputation or character? Is the accused in a position where there is a high risk of future claims of misconduct? As a legal matter, the most simplistic and conservative approach to a harassment complaint is to minimize risk. Continuing to employ someone accused of harassment is almost always going to be more risky than terminating the employee. But, legal risk is not the only deciding factor in the real world. Perhaps the accused is a key employee or a good person whom you simply believe was wrongfully accused. The best decision may not be the path of least risk. Obviously, every employer has to make that judgment call on a case by case basis, but there is no question that this decision-making process is now much more complicated in the era of social media and the #MeToo movement.